Andrew teaches an open Dharma I-II class every Tuesday night (7-8:30 PM), Dharma I Basics(4-week course: Mondays, 7-8:30 PM), and Dharma II Basics (4-week course: Wednesdays, 7-8:30 PM) at DYNYC. AJ: Swansea, Wales, UK… Or “England”, as people like to call it here. AJ: Try and bring the practice to the workplace, and spread some of the love in this very stressful world of many ups and downs. I like to introduce others to yoga and show them how it may help their everyday lives & bring a smile to their faces – these are small steps that can build into huge gains for all! 3. Three things you always have in your fridge? 4. Favorite veggie restaurant in the area? AJ: Natural Frontier – they have the best juices, especially green ones. Plus they look after Dharma Yogis with much love! 5. 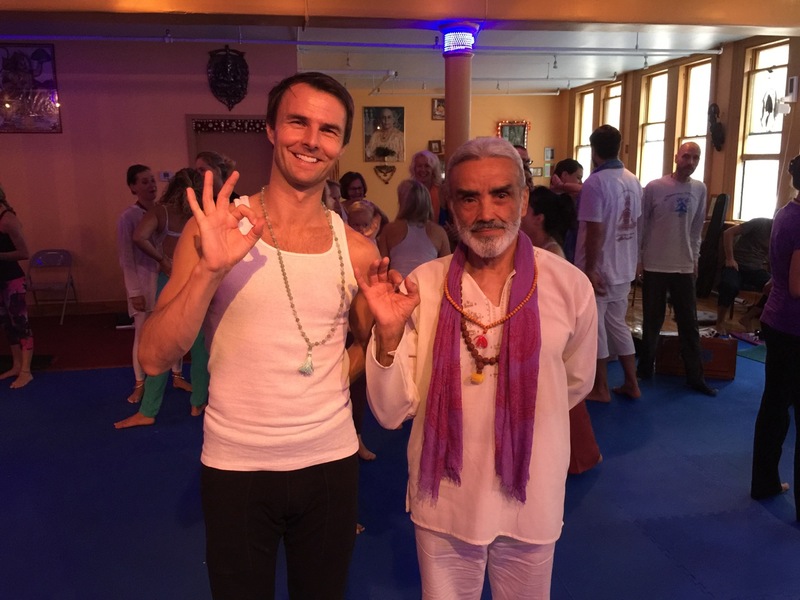 One practice you must do every day? AJ: Compassion to all beings with love. The first thing you notice about Andrew Jones is his joyfully lighthearted nature. Though he takes his practice seriously, he is a bit of a jokester. 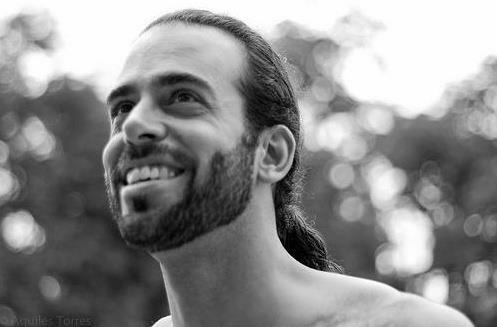 Some might assume, because of Andrew’s seemingly constant smile, that he is a full-time yogi – devoting hours and hours to his sadhana, or practice, every single day. While he is a full-time yogi, it’s not necessarily in the way you’d imagine: his sadhanais the practice of daily life – of bringing “yoga” with him wherever he goes, even the world of corporate advertising! 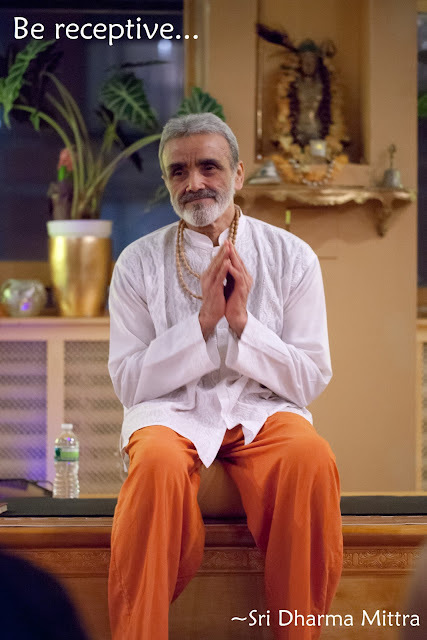 He is extremely devoted to Sri Dharma Mittra and his teachings; he speaks with great admiration about Sri Dharma’s compassion, unconditional love, and playfulness that are apparent in every single class; in taking Andrew’s class, it is clear that he strives to bring these attributes into his own life and teaching as well. Often, the more we have in life the more disconnected we become from those who have very little. However, by “being receptive” to the needs of others, sometimes Karma Yoga finds you. My Karma Yoga found me last July in Asbury Park on the New Jersey Shore. After practicing yoga on the boardwalk I stopped at the Twisted Tree Cafe for a fruit smoothie breakfast. As I waited to pay, something caught my eye on the “community board” next to the register. Though most of the board was over-loaded with business cards and advertisements, a picture of an acoustic guitar snapped in half caused me stop and pay attention. Above it read, “Reggie Deas Needs Your Help – Call Steve.” On the back of the postcard was a story about Reggie Deas, a homeless musician who found his way to Ocean Grove and was living under the boardwalk. His guitar had been destroyed and Steve was organizing an effort to have it replaced. I called Steve and offered my help but since there was such an outpouring of support, Reggie not only had the new guitar but also a case. Steve said that Reggie was however still homeless and in need of help. I agreed to meet with Steve and Reggie in the park the next day. It only took a few minutes of listening to Reggie play music to realize that he was a gifted musician. Though his playing was a little rough around the edges, his instrument was played with true knowledge and in his voice was love of music. Reggie, though currently homeless had attended Berkley College of Music in Boston, Massachusetts; a prestigious music school in which many of the greatest musicians in the world had passed through the halls. And seemingly here was one music great living under a boardwalk in a beach town. 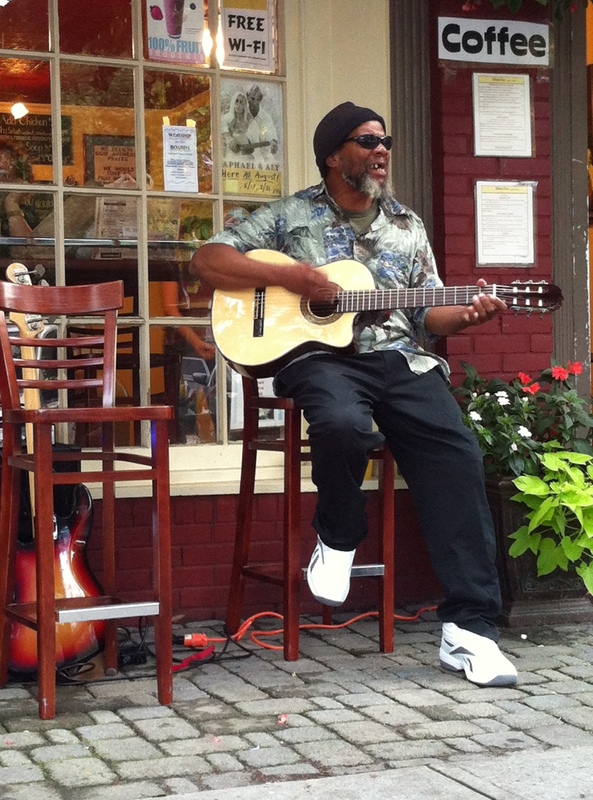 Reggie’s story immediately called to mind the movie “The Soloist,” based on a similar story of a Juilliard trained musician who was also homeless. 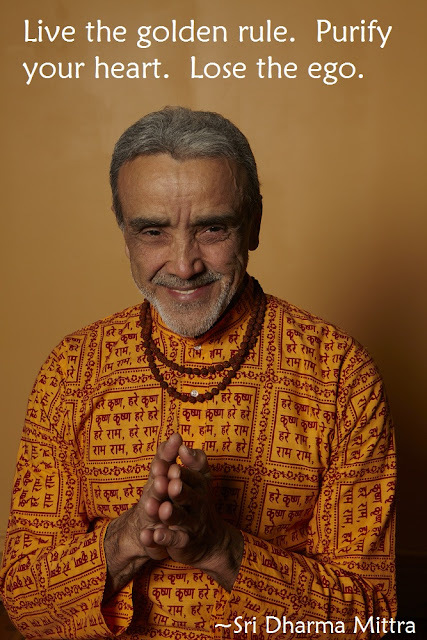 Through Sri Dharma Mittra’s inspirational teachings on Karma Yoga (and the fact that I too am a musician), I knew I needed to help Reggie. Sitting with Reggie in the park that day, with his new guitar and only a single duffle bag full of his possessions, a roof over his head was evidently his biggest need. The first and most obvious thought was a homeless shelter but Reggie refused. In his words “I rather live on the street.” The biggest problem with a shelter is “lock-down” at 7pm, the time when Reggie does best playing music on the boardwalk for money. Also, since Reggie was not suffering from any form of addiction he did not want to be around others whom are often in this unfortunate state. I brainstormed with the fundraising group and after many hours of making phone calls and surfing the internet, I found a room in The Whitfield Hotel, a very large hostel-style hotel just one block from the beach. With the help of the nearly $1,000 left over from the guitar collection fund, by the end of that afternoon, Reggie had a roof over his head. Over the next several weeks I continued to contribute to Reggie’s well being however I could. Tapping into my work in Finance, I created a “project plan” to organize efforts around Reggie’s needs. I outlined and prioritized various aspects that the fundraising group could do together to help Reggie establish himself in Ocean Grove. On the list: (1) find a part-time job (2) obtain a pre-paid cell phone (3) resolve an outstanding court fine (4) seek medical attention, and (5) play the music he so loved in local venues. Working together with the fundraising group we were able to accomplish everything on the list. Reggie worked part-time mowing lawns for a local real estate company and slowly adjusted to his new life. But above all Reggie loved playing music and to see Reggie do what he loved to do and having played a small part in making that happen for him was special. Some of my best memories from the summer was rehearsing and performing with him several summer nights at the Barbaric Bean and Day’s Ice Cream Shop. When summer passed into fall Reggie came to me because he wanted to move to San Diego, California where he had some friends. Although he had established some roots in Ocean Grove, he was concerned about playing music for money through the winter. It was late September and the New Jersey boardwalks were basically deserted. Although my first reaction was think of all the reasons why he shouldn’t go, I quickly realized that it was Reggie’s life to live and not mine. Reggie had his own Dharma and it was essential for him to go and pursue his dreams, wherever they make take him. 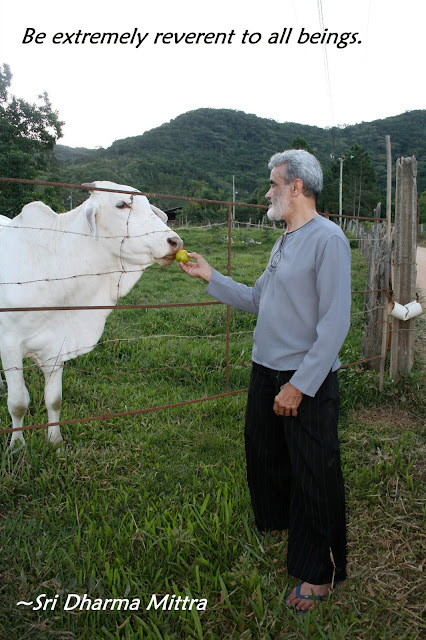 As Sri Dharma says, “do it because it has to be done,” and I had been there for Reggie because it had to be done. 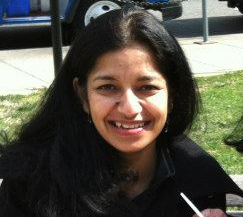 By doing selfless service (seva) I found that I had also served myself. We can all make a difference, no matter what. So next time you come across someone in need remind yourself that yes,I can help. Yes, I will do this. Yes, change is possible. 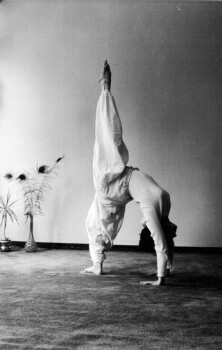 Freddy was introduced to yoga by his wife, Amy Pastore (E-RYT 500 Hour yoga instructor). At first, practicing yoga was an excuse to be around Amy – even if it meant enduring 26 excruciating posture holds in 105 degree heat! 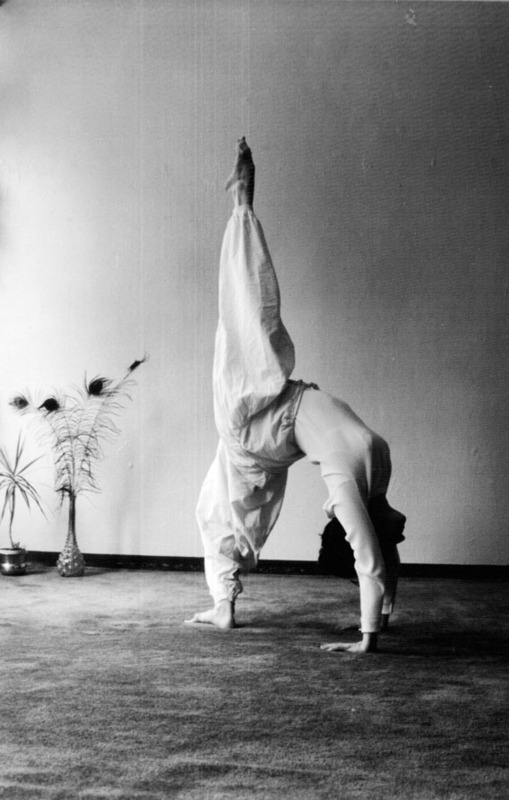 Over the years, the practice of asana gave way to the deeper purpose of yoga. This resulted in physical, mental and spiritual transformation. 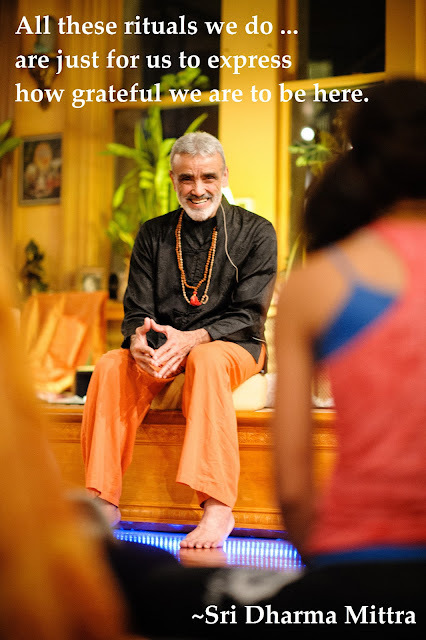 Freddy has attended many yoga workshops with world renowned teachers and in 2012 he completed the Life Of A Yogi 200-Hour Teacher Training Program with Sri Dharma Mittra in New York City. 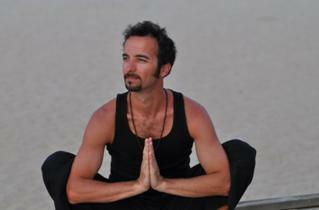 Freddy also holds a certification in Basic Thai Massage from the Loi Kroh School in Chiang Mai, Thailand. Together with his wife, Freddy is the co-founder of iflow Yoga, a modern, eclectic Vinyasa style yoga drawing from their diverse yoga experiences. Freddy is also an accomplished bassist who has performed and recorded with many of New York City areas top jazz, rock and pop musicians.